Theresa May is expected to meet Jeremy Corbyn later after she said she wanted to work with the Labour leader to break the Brexit deadlock. The prime minister hopes she and Mr Corbyn can come up with a modified version of her withdrawal deal with the EU that can secure the backing of MPs. The move angered Brexiteers in her party, including former Foreign Secretary Boris Johnson, who accused her of “entrusting the final handling of Brexit to Labour”. BBC political editor Laura Kuenssberg says it means the prime minister is likely to adopt a closer relationship with the EU – a softer Brexit – than she has agreed so far. The UK was supposed to leave the EU on 29 March, but Mrs May agreed a short extension after MPs refused to endorse her withdrawal deal. Attempts by MPs to find an alternative way out of the impasse also failed for the second time this week. The UK now has until 12 April to propose a plan to the EU – which must be accepted by the bloc – or it will leave without a deal on that date. If the two leaders do not agree a single way forward, Mrs May said a number of options would be put to MPs “to determine which course to pursue”. 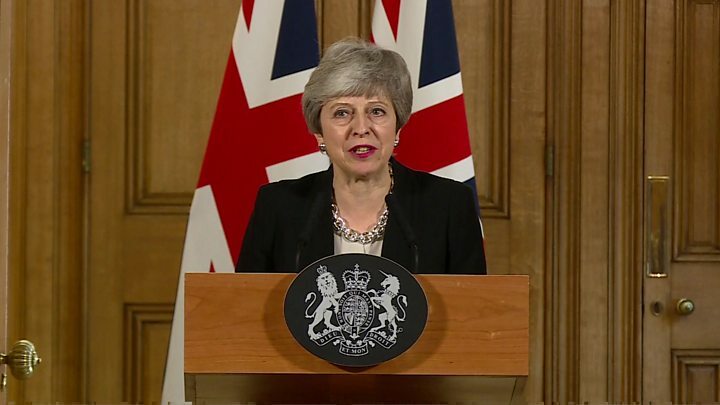 In either event, she said she would ask the EU for a further short extension to the Brexit date to hopefully get an agreement passed by Parliament before 22 May so the UK does not have to take part in European elections. The final decision on a delay rests with the EU. 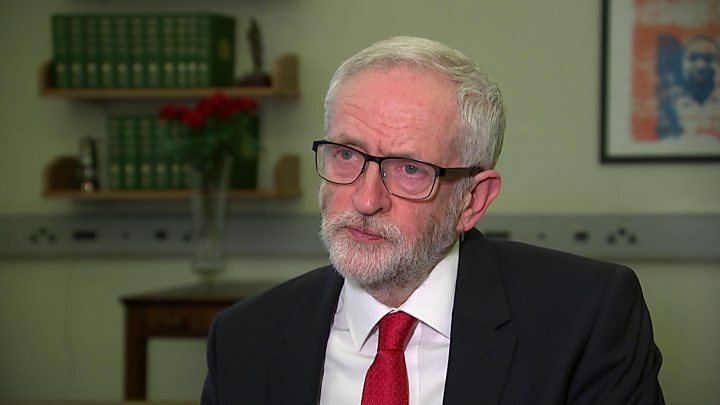 The BBC’s Europe editor Katya Adler said that while Brussels “welcomed” discussions between the PM and Mr Corbyn, its demands had not changed and it was “likely to put strict conditions on any further extension”. Labour has previously said it has six tests for judging any final Brexit deal, including protecting workers’ rights, establishing a permanent customs union with the EU and securing the same benefits of being in the single market the UK has currently. But after her deal was defeated at the hands of Eurosceptics, in the words of one cabinet minister in the room during that marathon session today, she tried delivering Brexit with Tory votes – Tory Brexiteers said “No”. 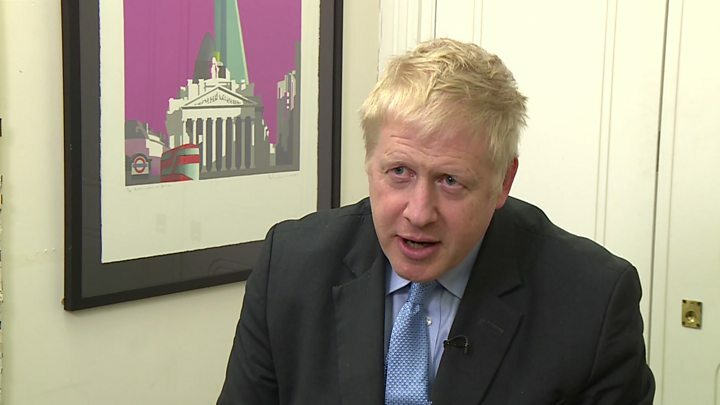 The offer of talks with the Labour leader provoked a backlash among Brexiteers, with Boris Johnson saying Brexit was “becoming soft to the point of disintegration”. However, Environment Secretary Michael Gove, himself a leading Brexiteer, said he backed the talks with Labour because he “wanted to ensure that minds are concentrated so that we do leave”. Meanwhile, backbench MPs have tabled a bill to try to stop the UK leaving the EU without a deal on 12 April. Normally, the government chooses which bills to present to Parliament, but MPs previously voted to allow backbenchers to take charge of business in the Commons on Wednesday, meaning Ms Cooper can bring hers.